6.Unique design,white color housing,waterproof LED oyster ceiling light. 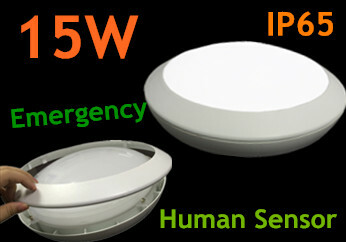 5.Polycarbonate IP65 Round 15W Microwave Sensor LED Ceiling Light. controlof light,such as laboratories. it can replace traditional grille lights directly.